Due to residual stress from hot rolling the straightness of longitudinally shaped products is often a problem in steel and aluminium manufacturing. MonoDAQ-SM straightness measurement system accurately measures straightness (flatness) of steel bars in two axes. Straightness measurement is done on the fly during the production process of cutting the rectangular steel bars. During the measurement the bars are also scanned with luminescence sensor to capture color marks made by the operator to mark the surface anomalies. Length of the specimen is also detected and checked. 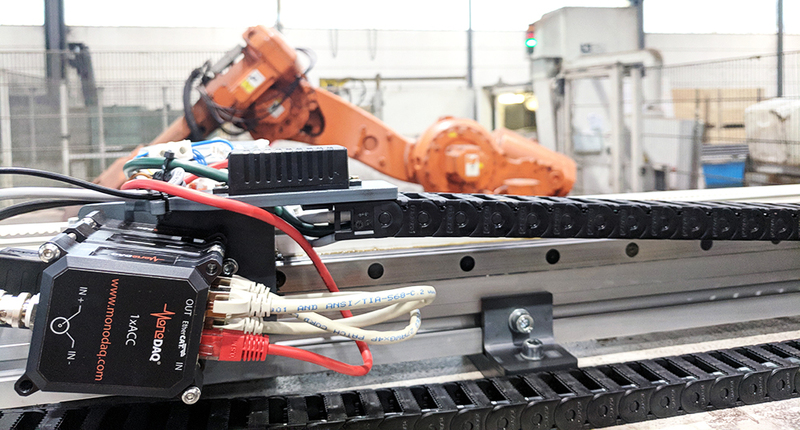 The combination of MonoDAQ EtherCAT measurement modules and DEWESoft X3 data acquisition software allows us to acquire the data with precision and synchronization, analyze the results on the fly and communicate with the manipulator and production line PLC. 1x MonoDAQ-4xDO isolated digital outputs (driving the stepper motor and communication with external PLC). 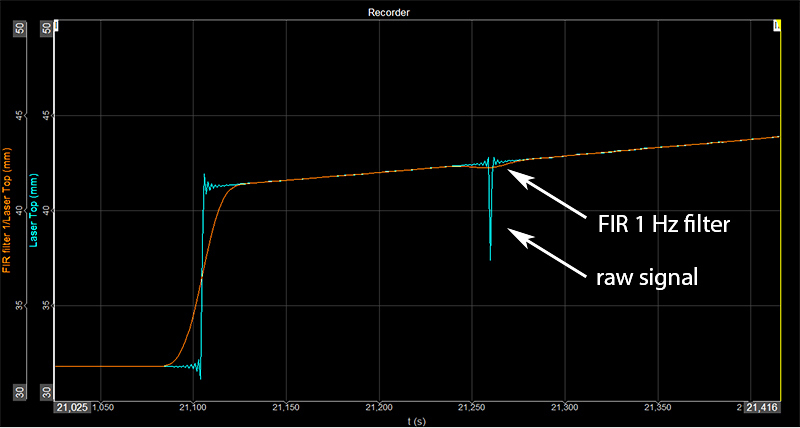 and synchronized down to 1 microsecond thanks to the EtherCAT distributed clocks protocol. The trolley carries sensors and MonoDAQ modules. It is moved with constant speed parallel to the specimen so that the sensors can longitudinally scan its surface. DEWESoft advanced signal processing is used for filtering the data on the fly. Disturbances such as tiny scratches on the surface or machine vibration need to be filtered out for accurate distance measurement. 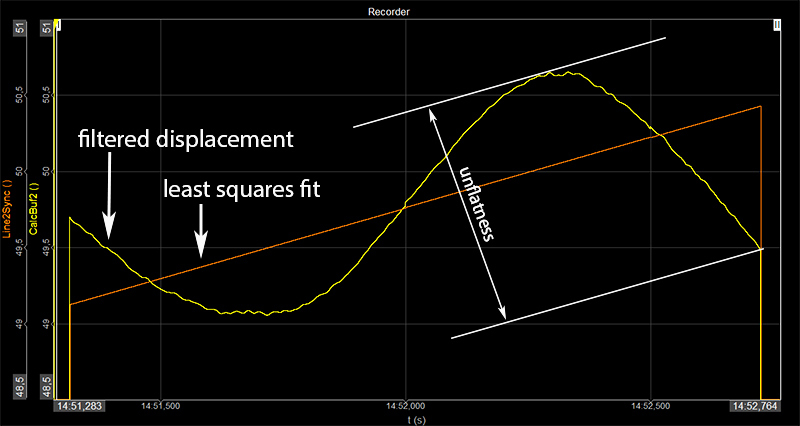 To compensate for the angular offset of the specimen with respect to the linear sensor movement, the software fits a line to the acquired data and measures the deviation from that line as an unflatness. Straightness measurement result is available moments after the specimen is scanned. Bi-directional scanning is done and results from both directions are compared. If the results from two directions are not within a specified tolerance, the measurement is repeated. 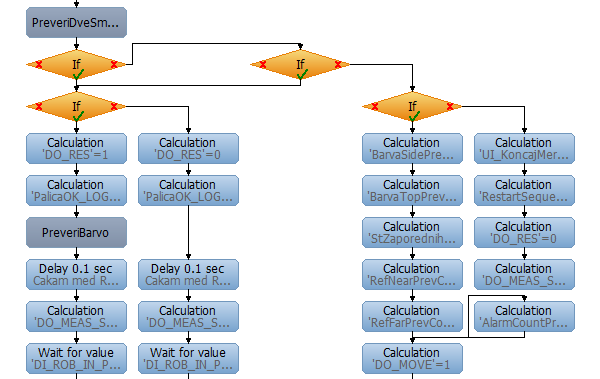 To control the process flow DEWESoft Sequencer is utilized. Complex sequences are represented by simple block diagrams. The sequence also handles the user inputs from the touch screen, such as input of tolerance values. The data can be recorded in the form of full data files for later in-depth analysis or in form of simple log files tracking the history of each specimen with timestamp. The straightness measurement system communicates continuously with the PLC to track the machine cycle. Robot sorts the specimen on two palettes to distinguish between “good” or “bad” pieces. The system can be switched on or off independently of the PLC, while the PLC adjusts its cycle to include or skip the measurement. Contact sales@monodaq.com for further info. 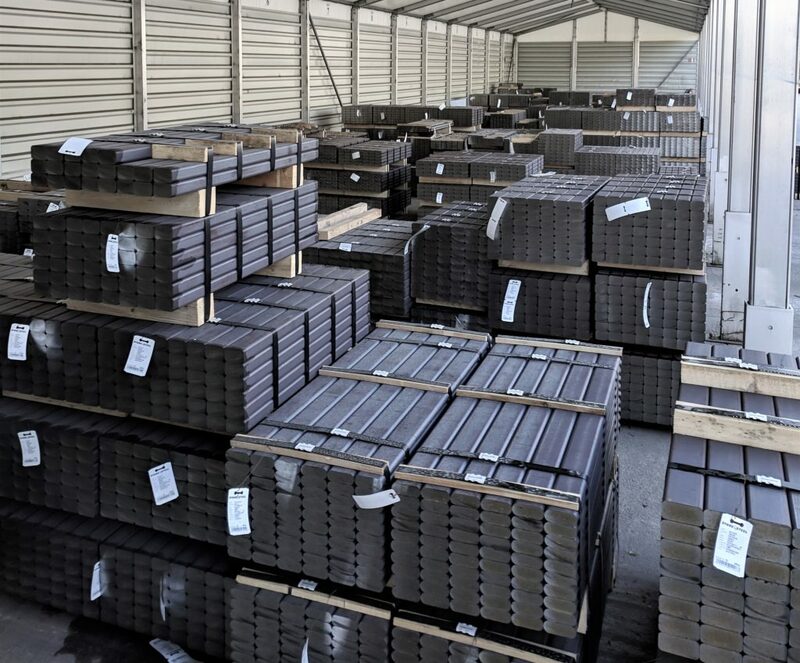 The picture below shows large quantities of steel bars that are measured using the SM-1 system on a weekly basis, saving customers hours of quality-check time.